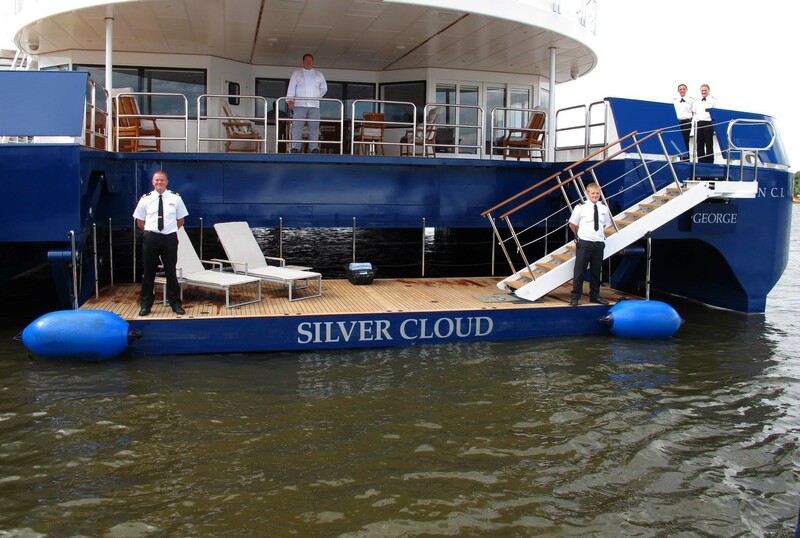 SILVER CLOUD is a luxury yacht built by the renowned builders Abeking & Rasmussen yachts in 2008, measuring 41m (134.5 feet) in length. 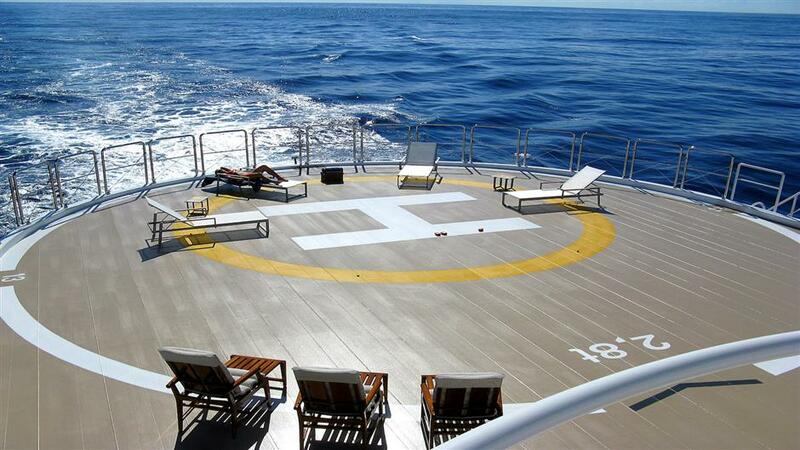 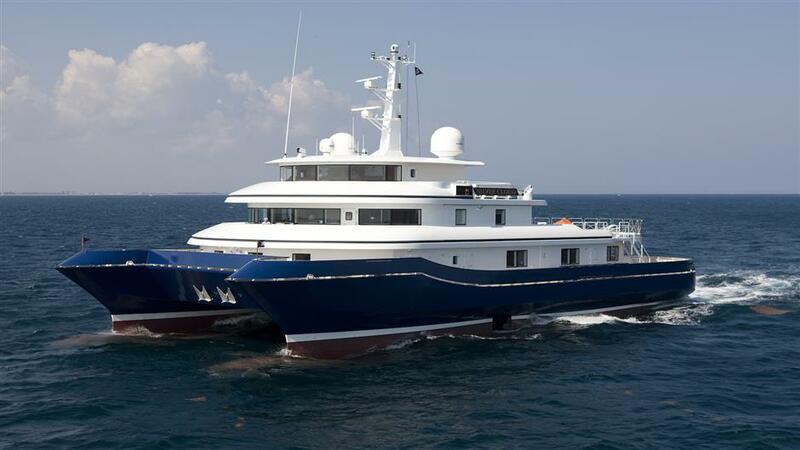 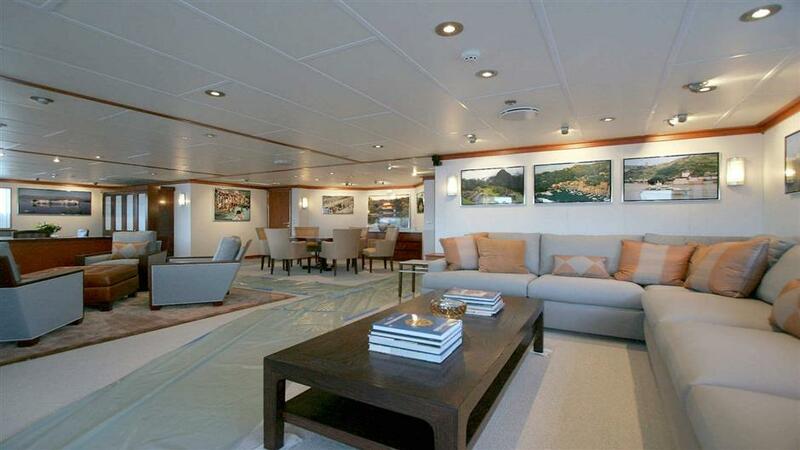 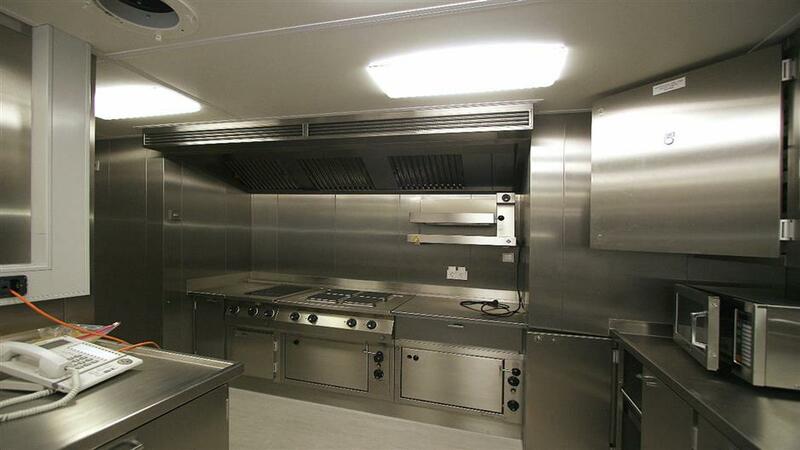 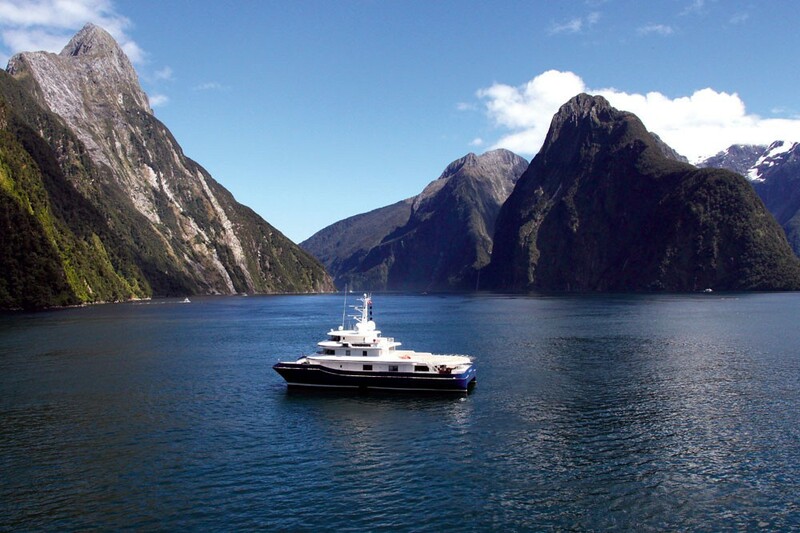 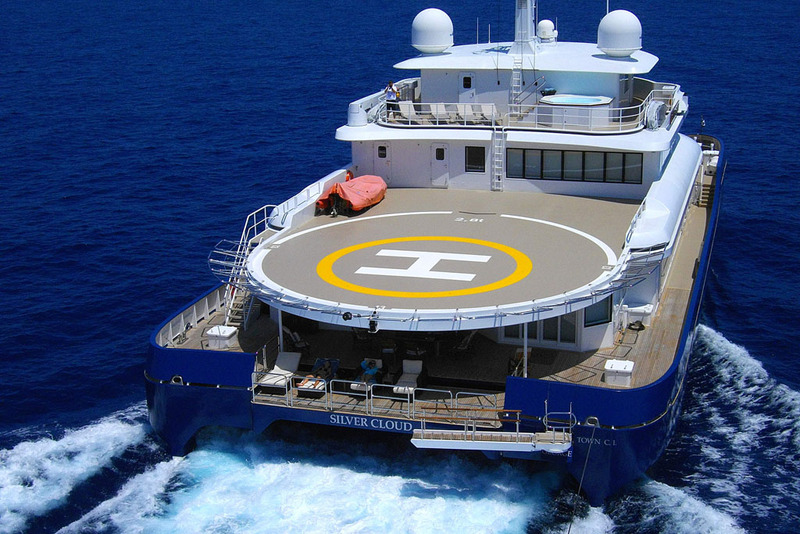 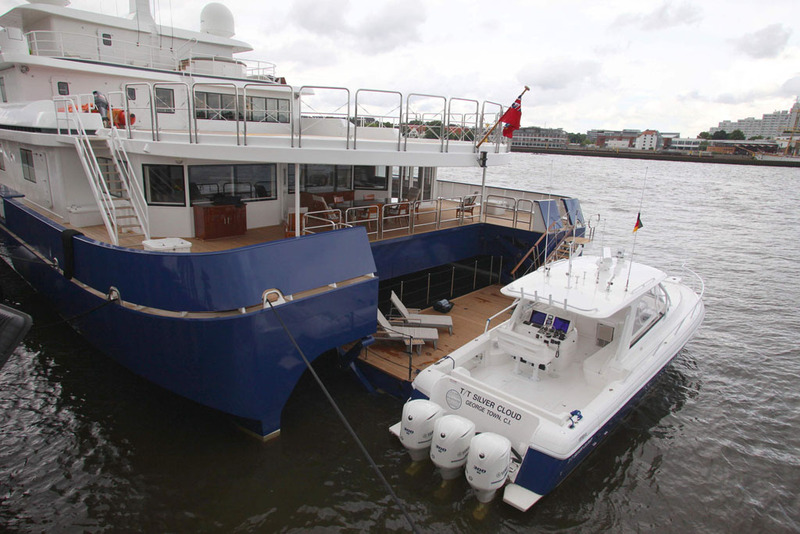 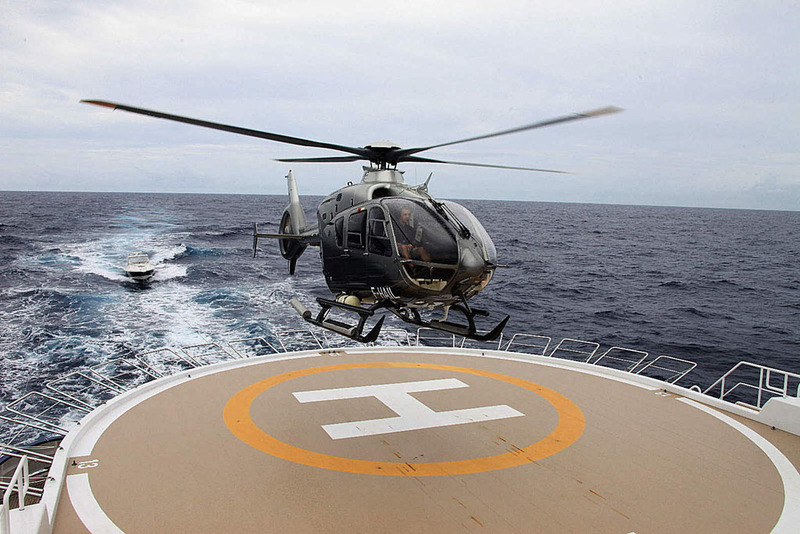 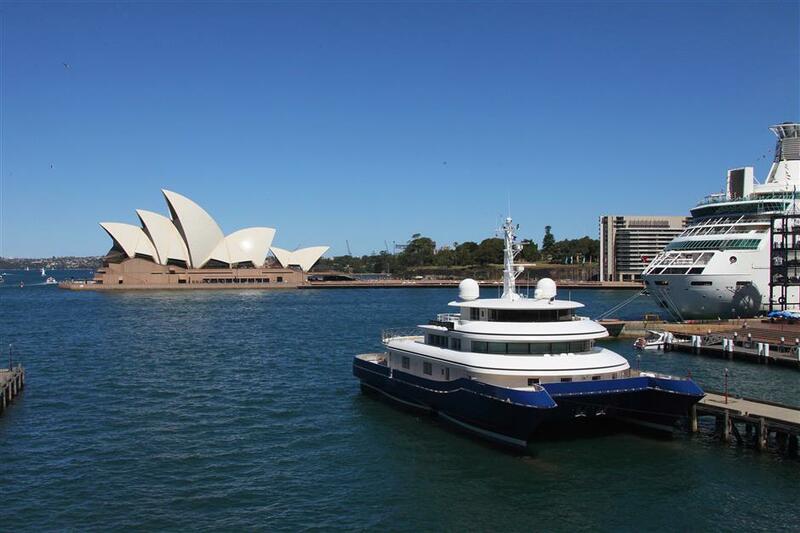 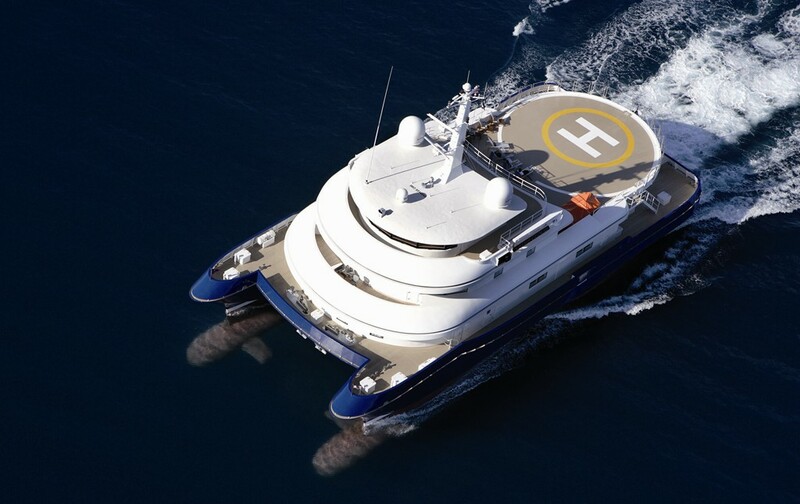 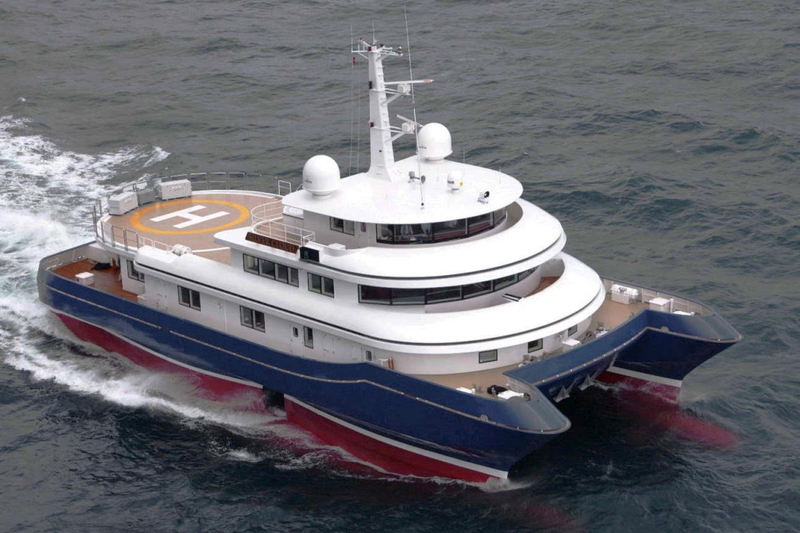 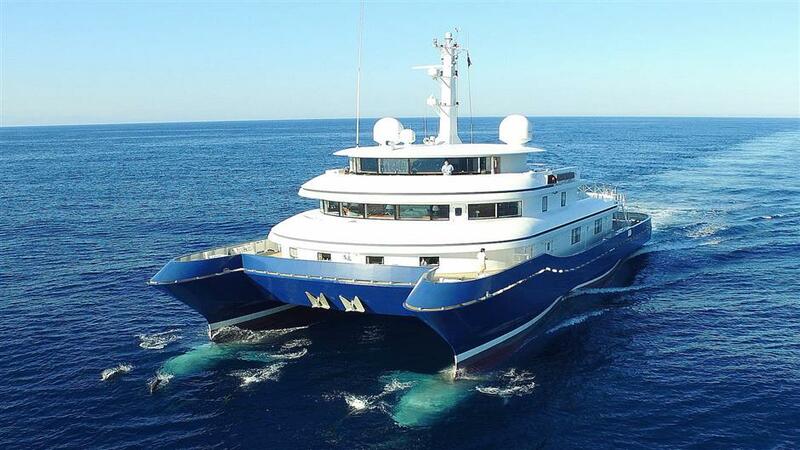 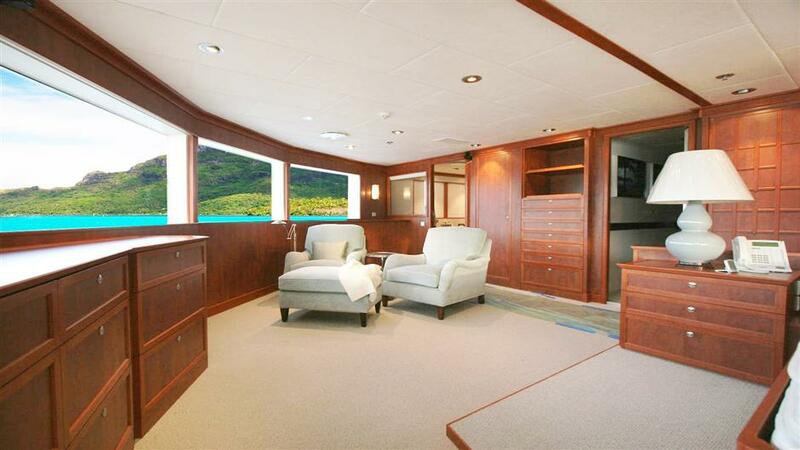 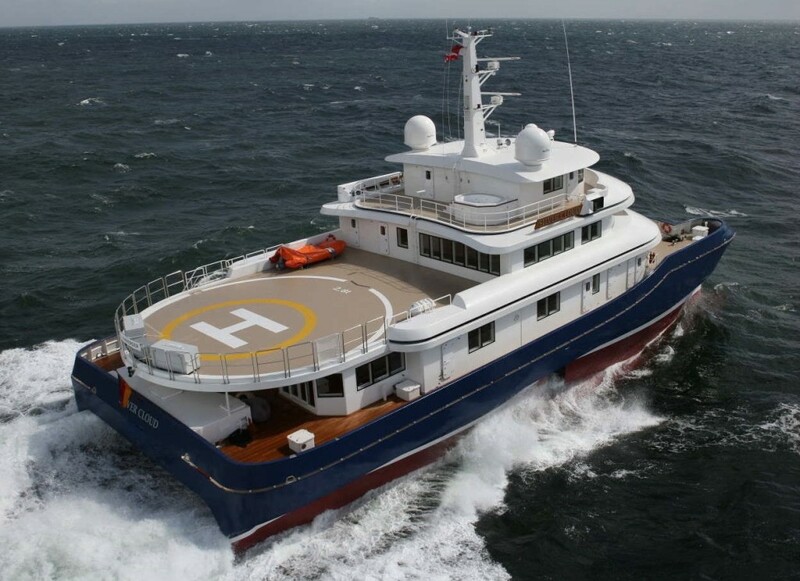 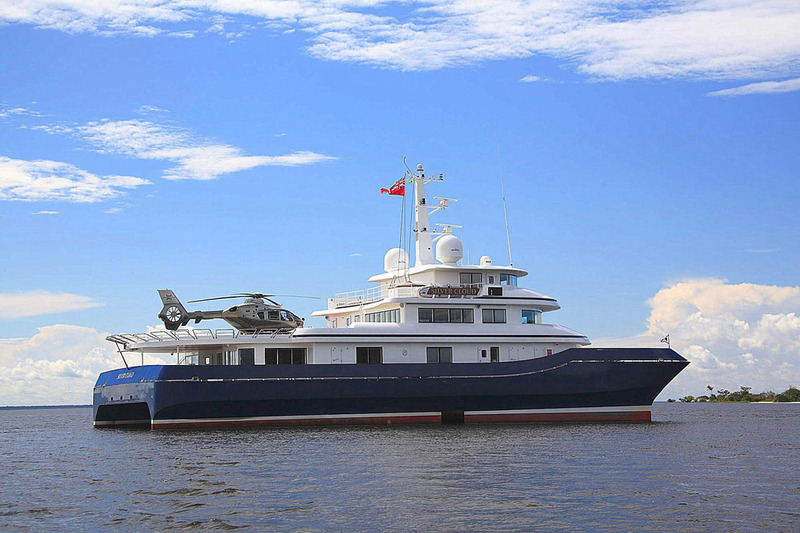 She offers considerable living space and is well equipped with audio-visual equipment and water toys and even a helipad. 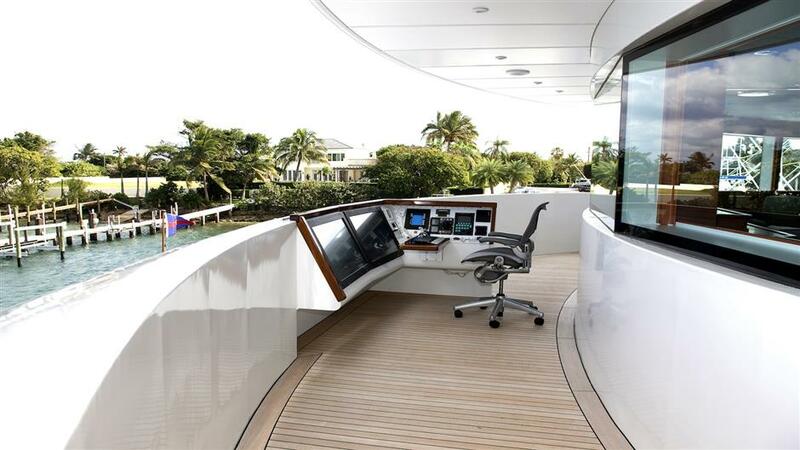 This yacht is also very stable as, in addition to her hull design, she also has four computerized stabilizers. 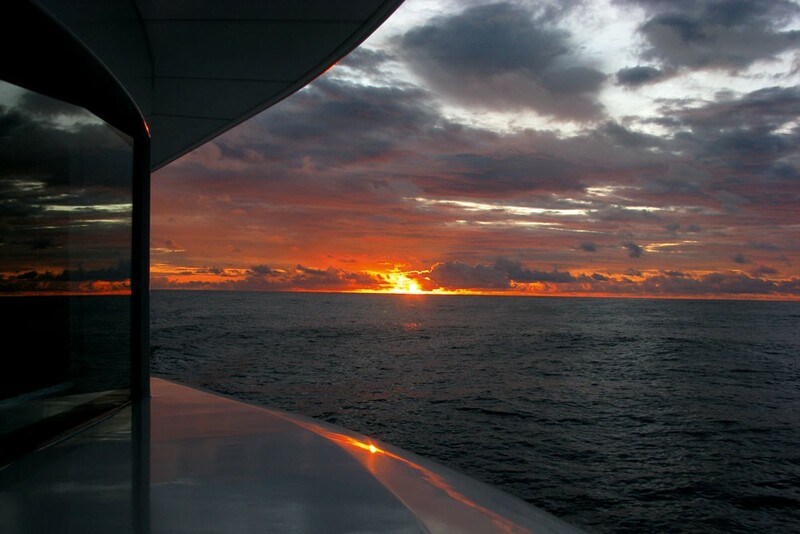 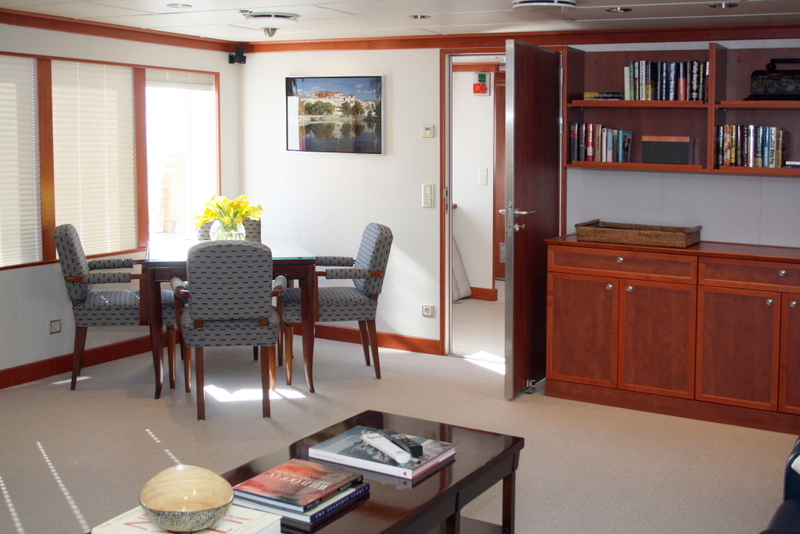 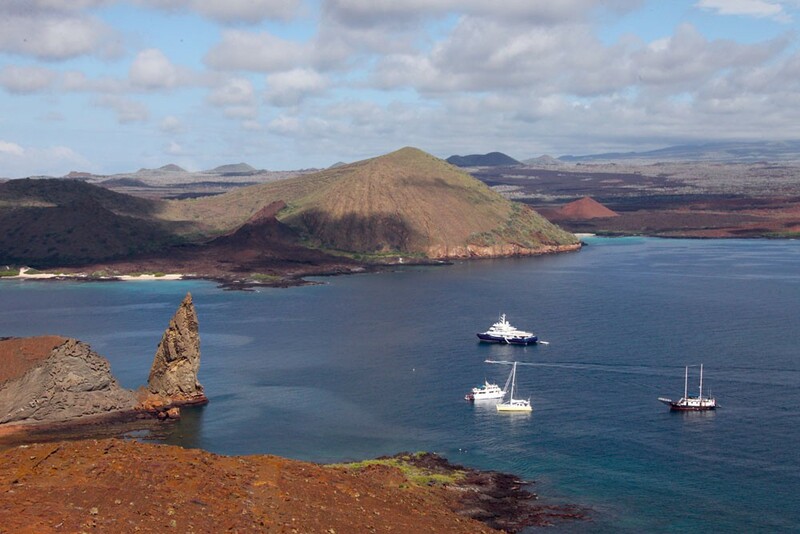 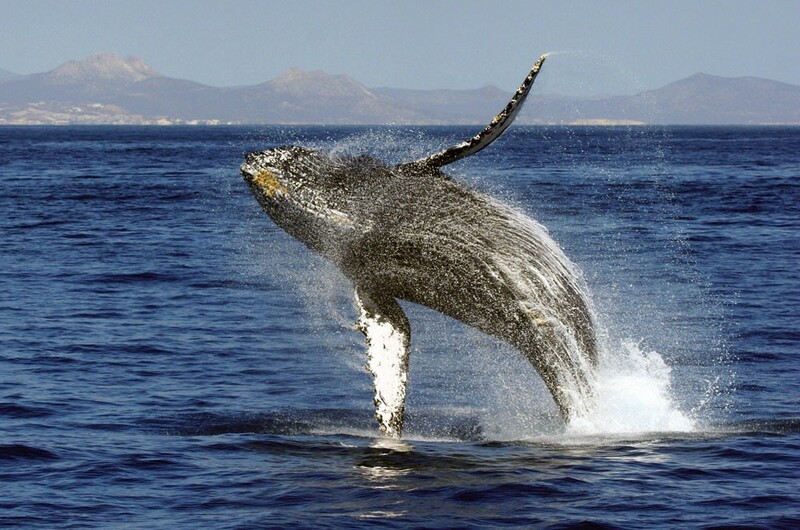 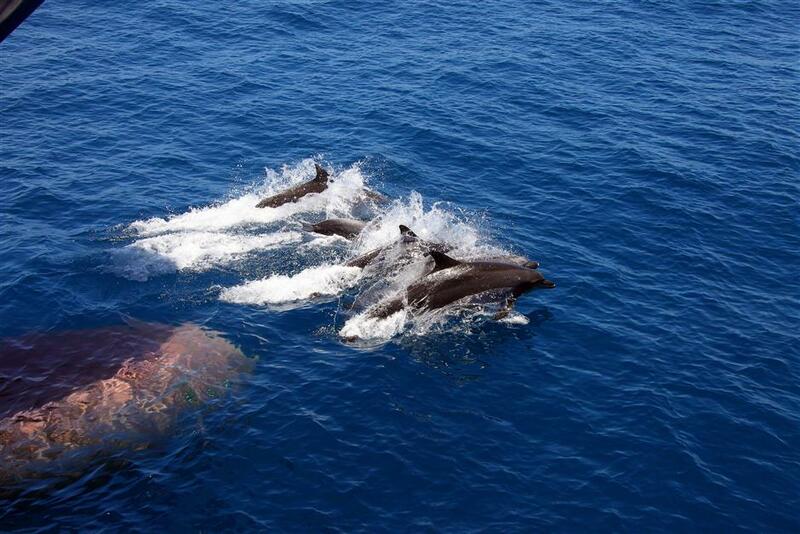 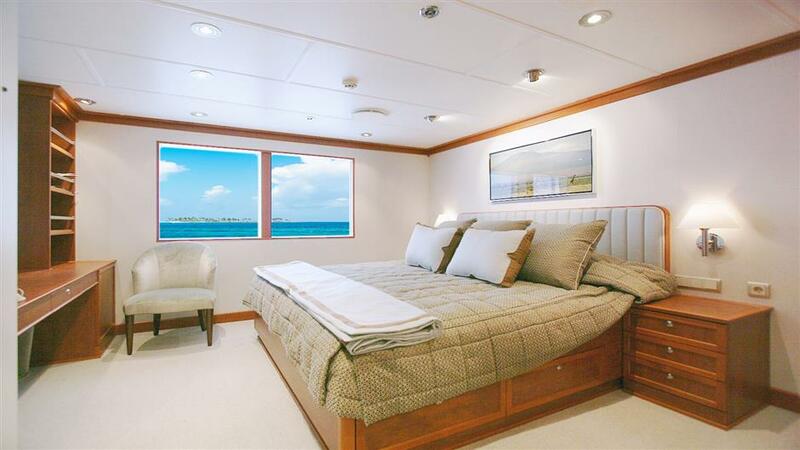 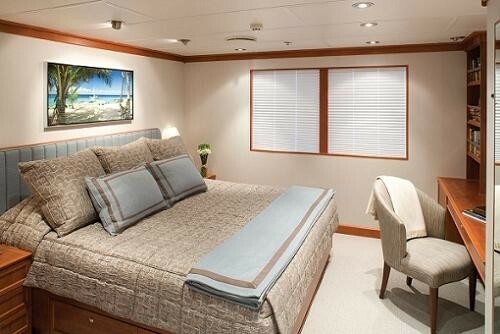 Accommodation onboard is offered for up to 12 guests in 5 spacious and nicely decorated staterooms. 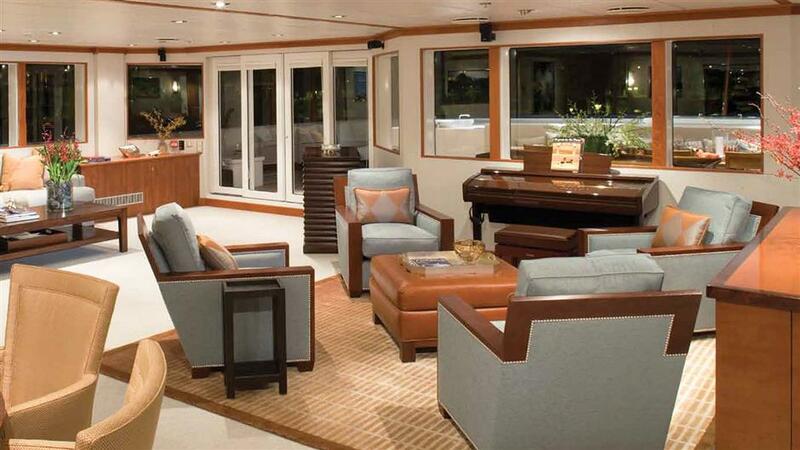 Her modern interior was designed by Kirschstein Design, and is nicely decorated with quality fabrics in pastel shades of cream, beige and blue, with wooden cabinets and window frames. 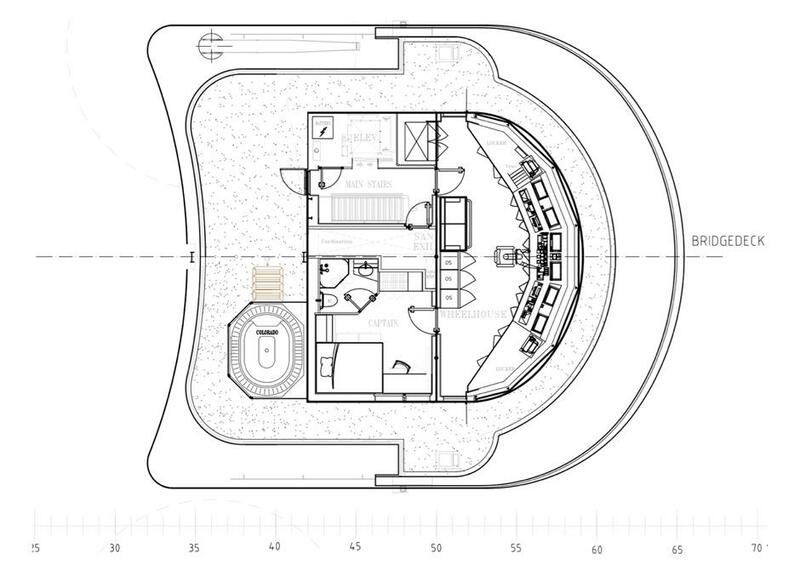 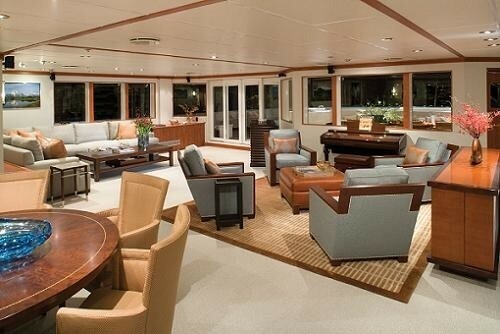 There is a large, full beam, main salon incorporating two different lounge areas, one with sofas and one with chairs, a games/meeting table with four chairs, and a formal dining area. 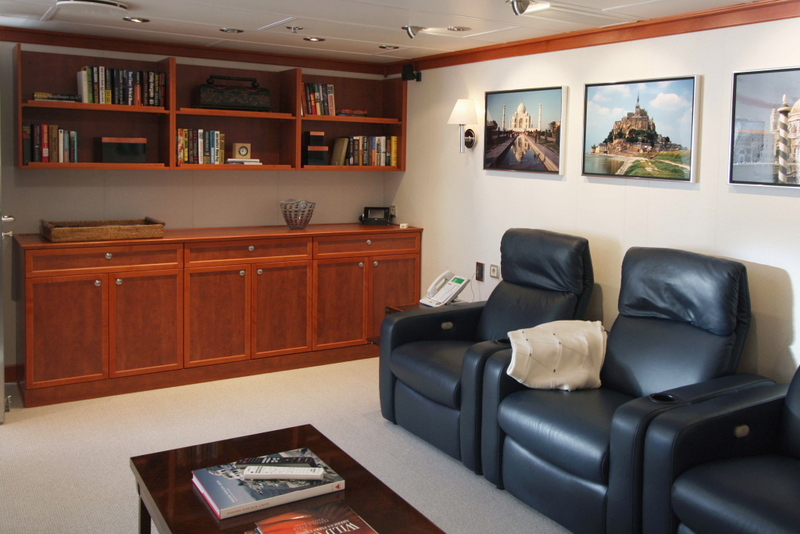 A further sky lounge on the upper deck is the perfect private cinema or corporate screening room and has numerous comfortable leather loungers for the occasion. 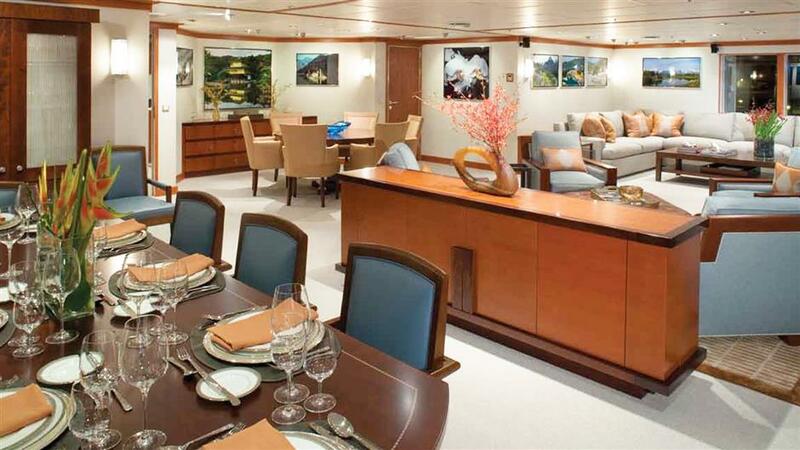 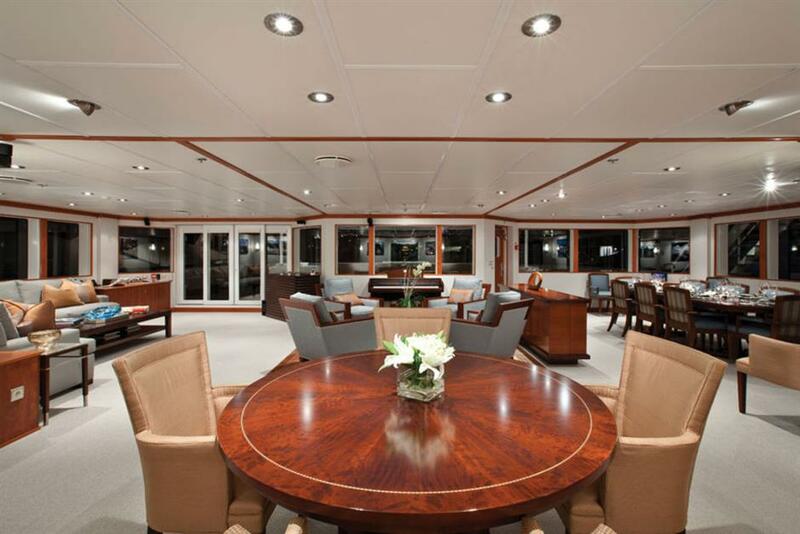 There is a lovely deck space, with a dining area aft on the main deck for drinks and alfresco dining, and a large upper deck where the helipad can be set up for dining, entertaining, or simply taking some sun. 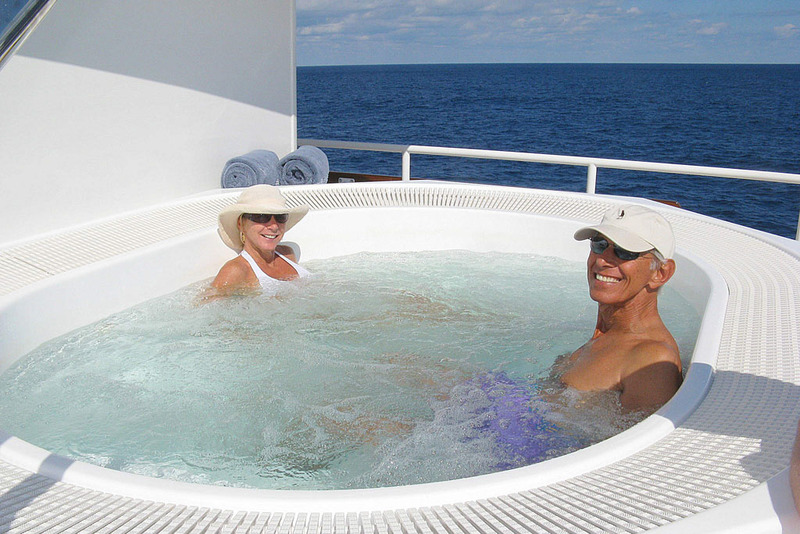 On the upper deck, there is a terraced area aft of the sky lounge, the perfect vantage point to enjoy the view and sip cocktails in the bubbling Spa Pool. 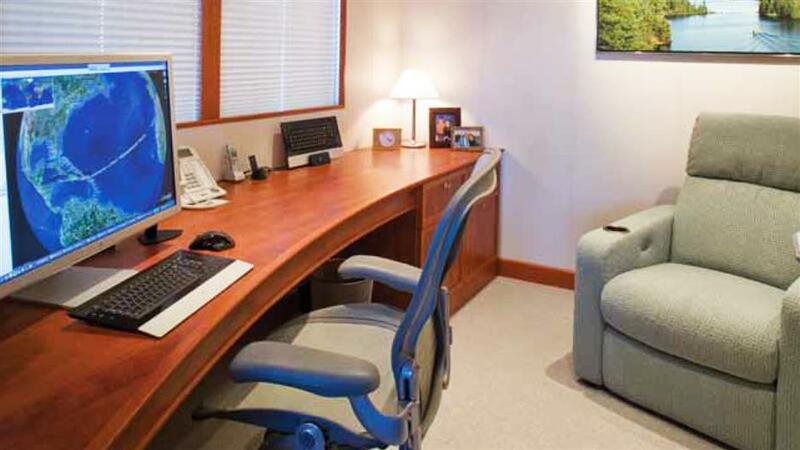 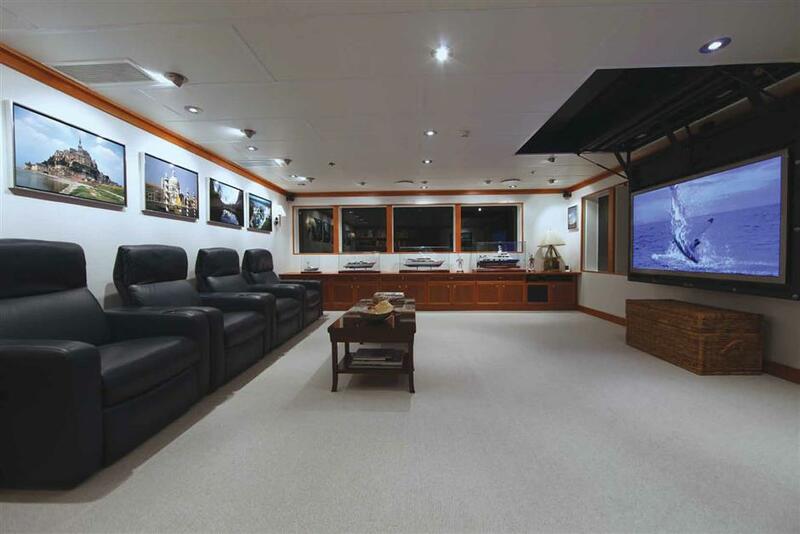 SILVER CLOUD is well stocked with audiovisual equipment, including WiFi/Internet, TV, DVD and CD players, with good libraries. 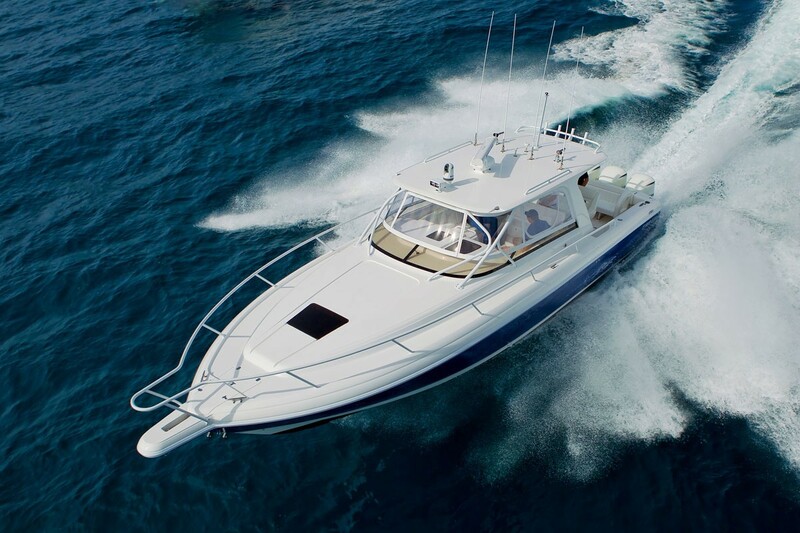 If water sports are of interest, there is a great range to offer, including a 39 feet Walkaround Intrepid Tender with a cabin, a 23 feet Custom Line Novurania Tender, 2 Paddle Boards, a Banana Boat, a variety of Tubes, 2 Sea Kayaks, a Wakeboard, extensive Deep Sea and Sport Fishing Equipment, extensive Snorkeling and Diving Equipment. 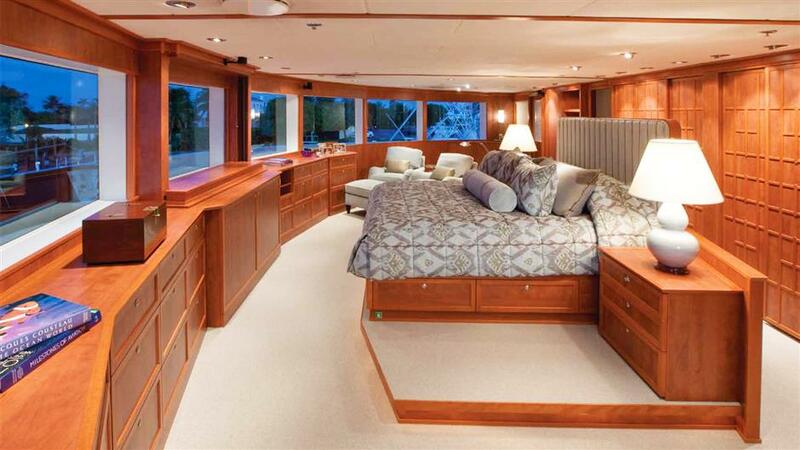 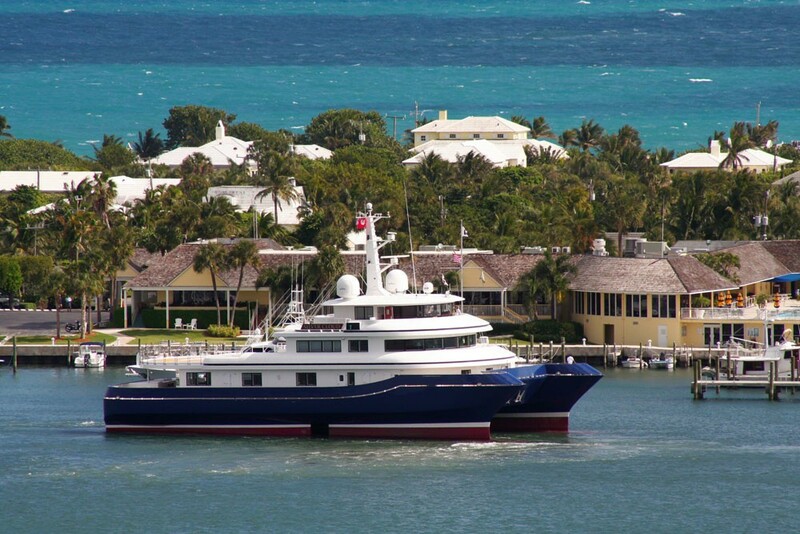 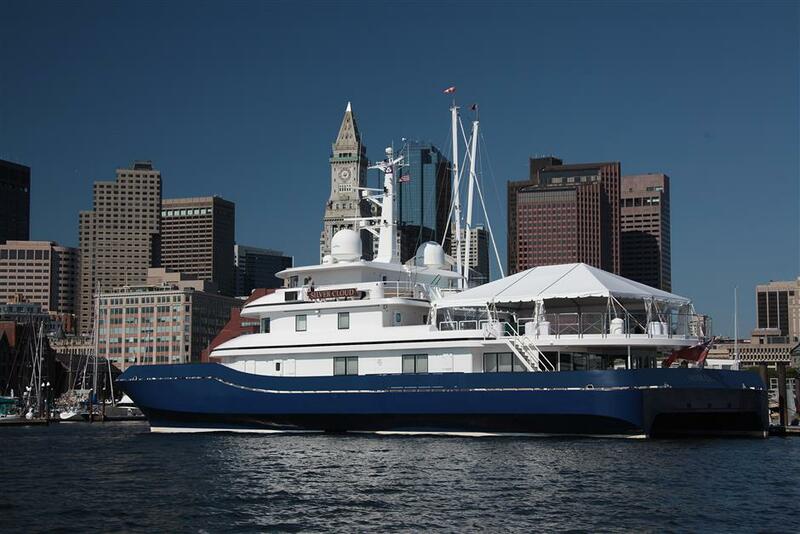 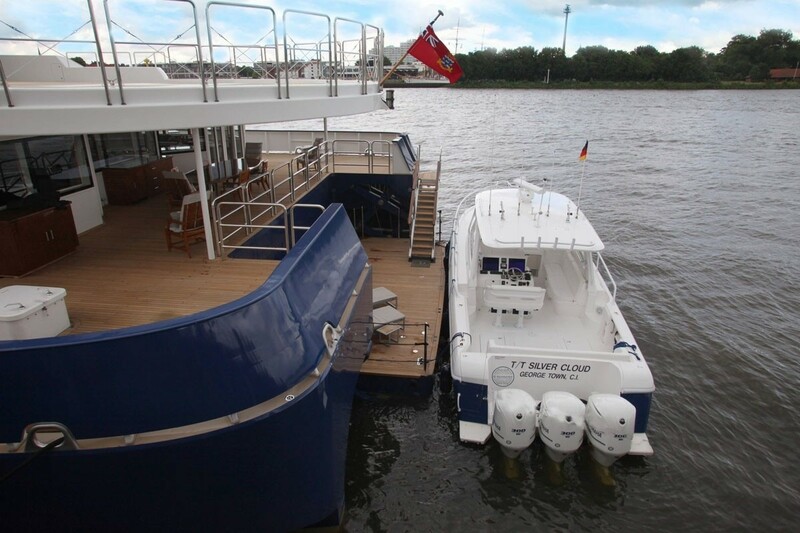 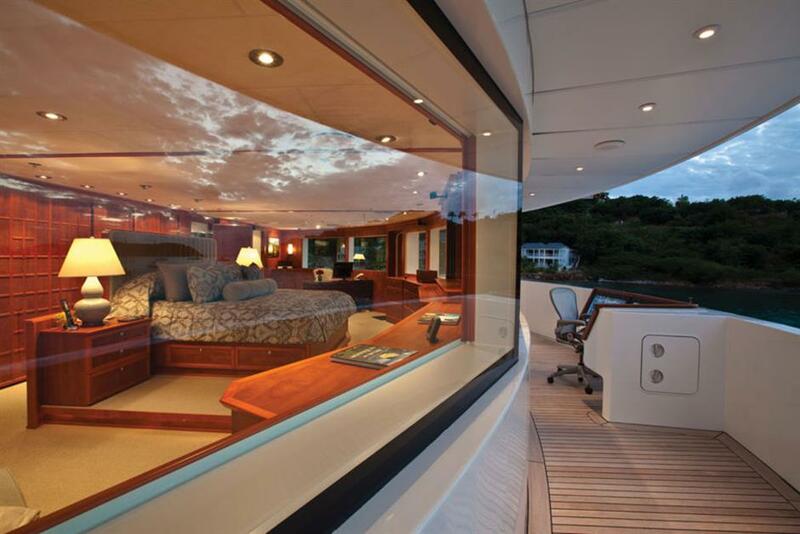 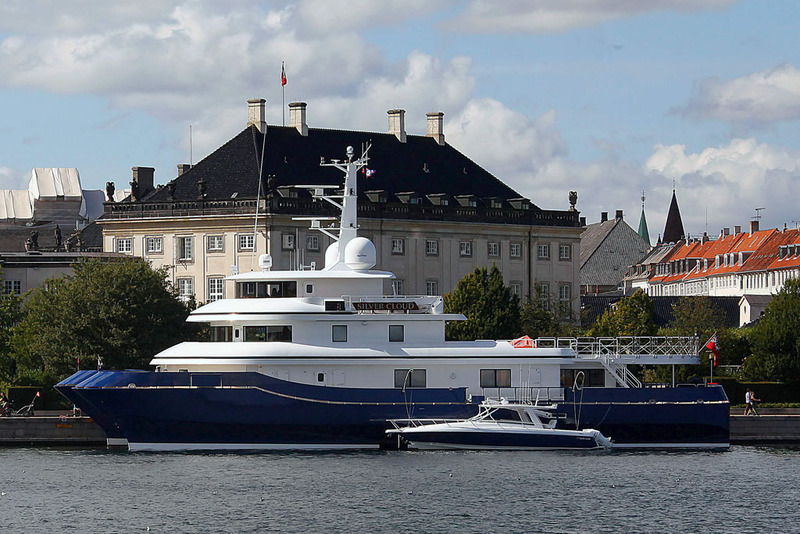 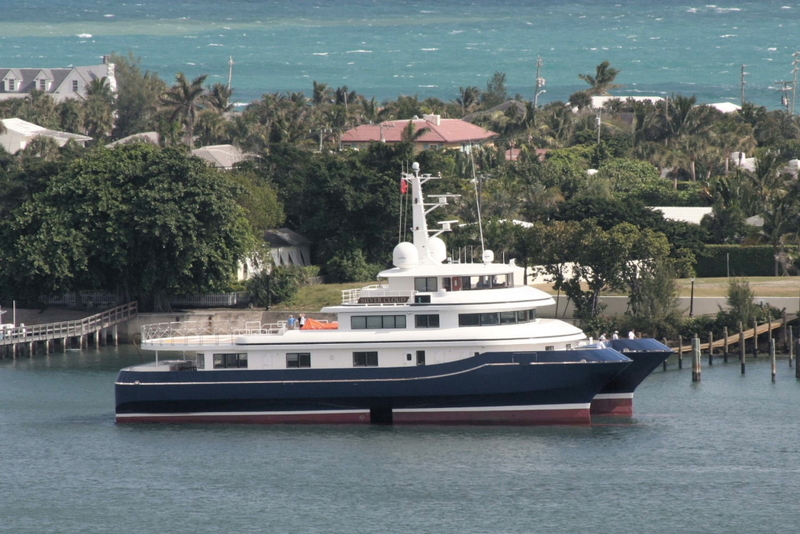 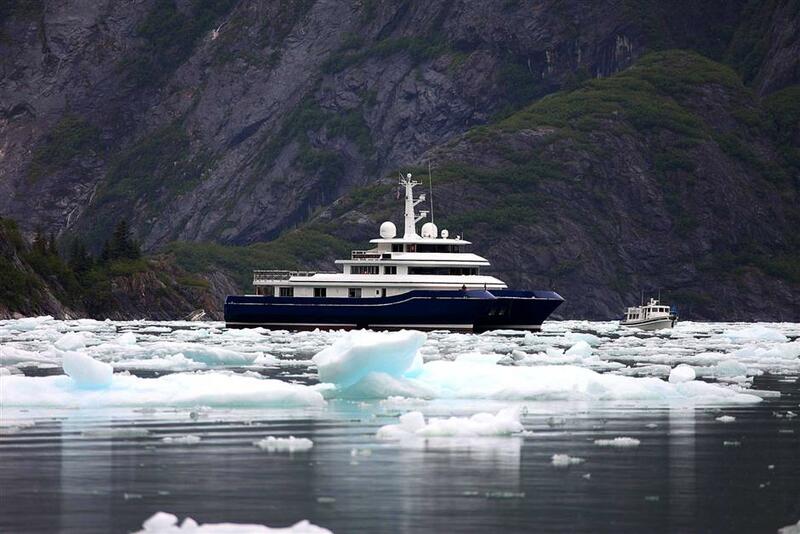 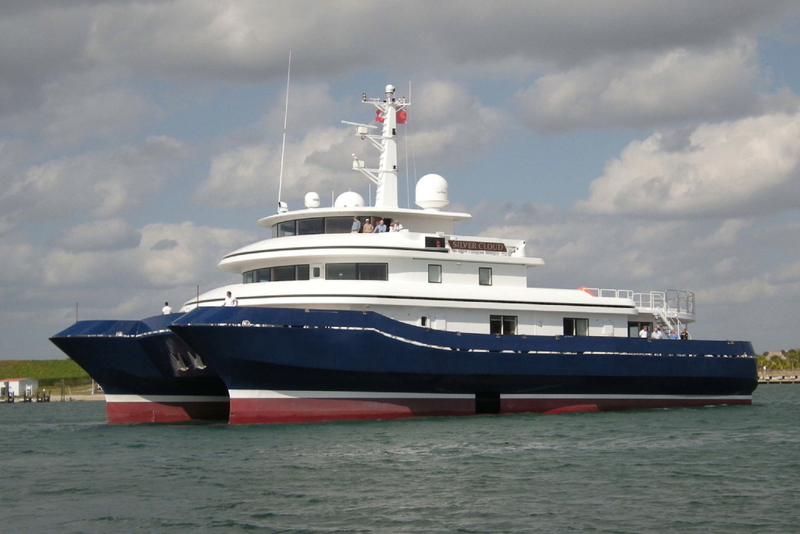 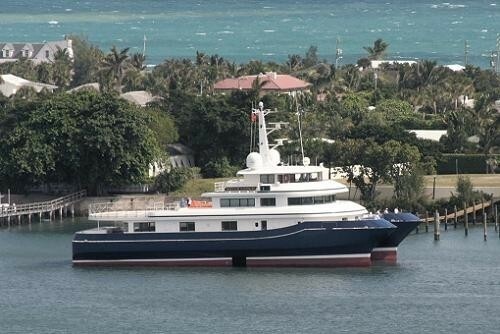 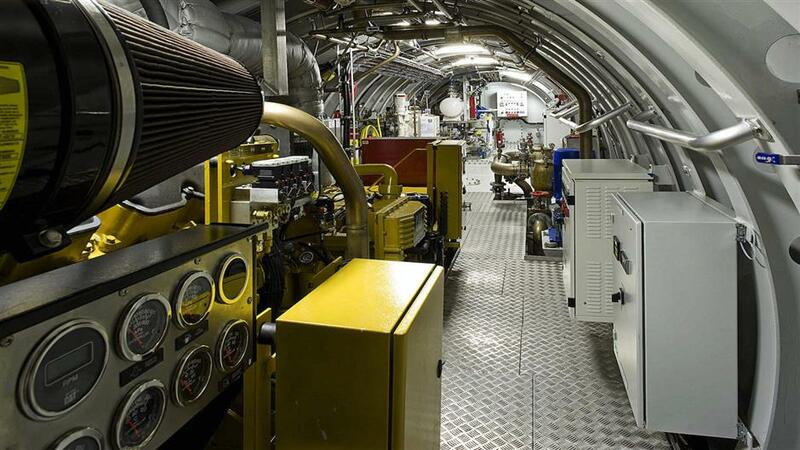 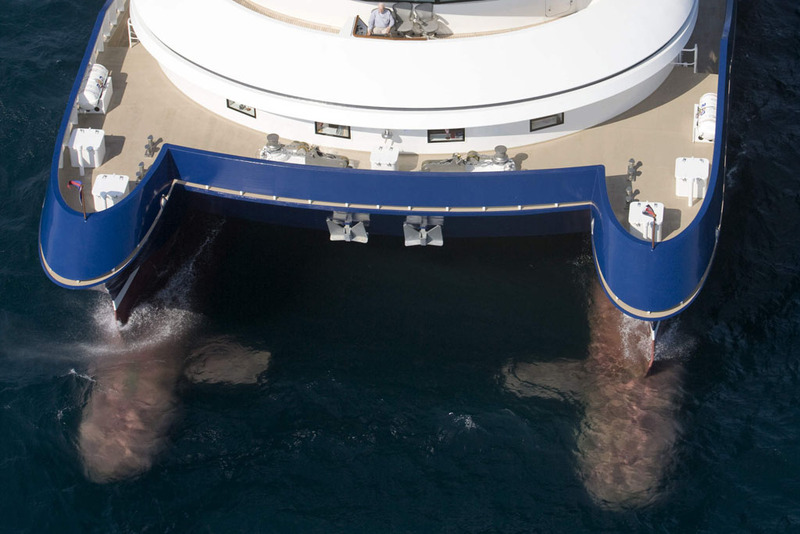 This motor yacht measures 41m (134.5 feet) in length, with a beam of 17.8m (58.4 feet) and a draft of 4.1m (13.5 feet). 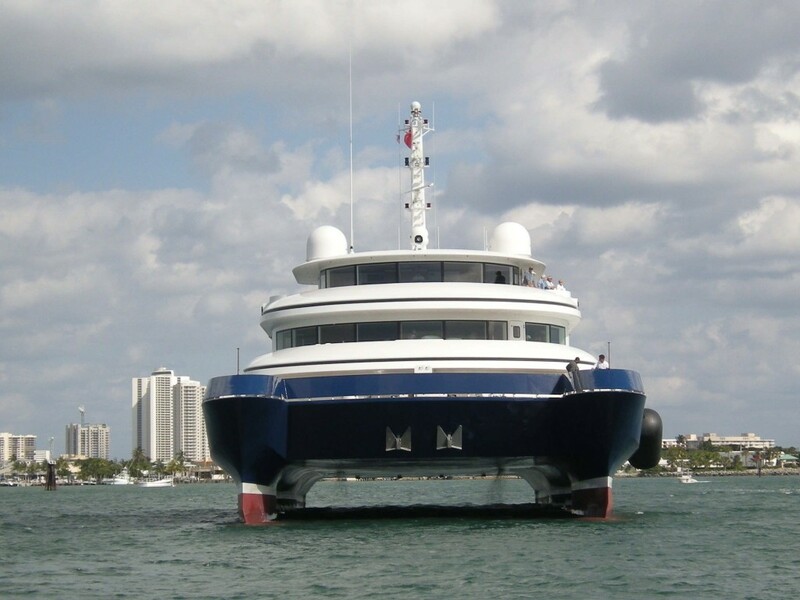 There is a crew of 9 and cruises at an average speed of 12 knots. 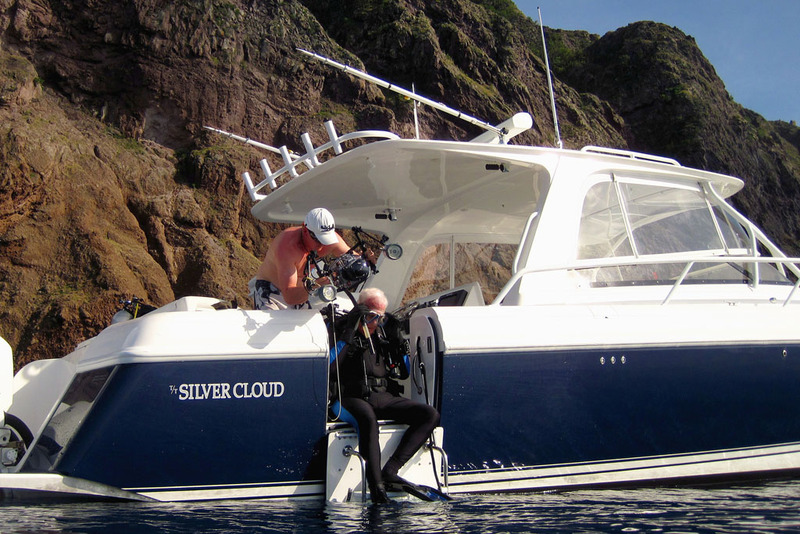 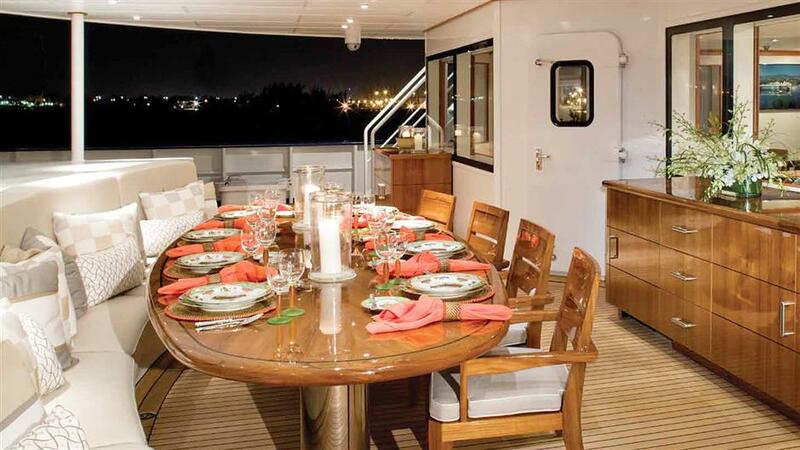 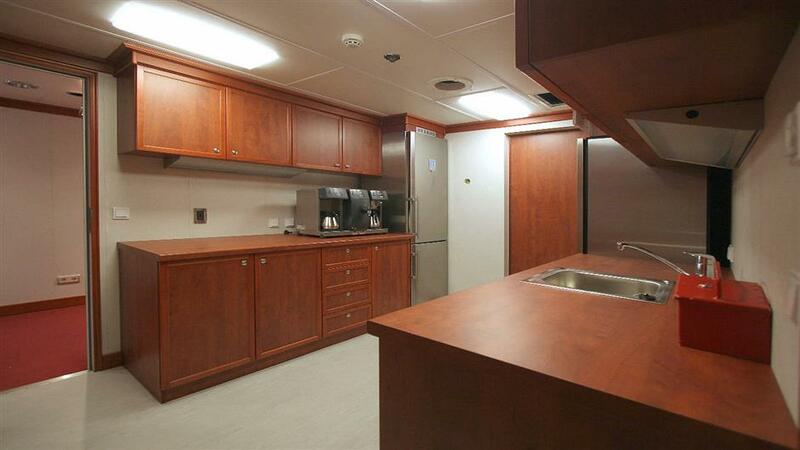 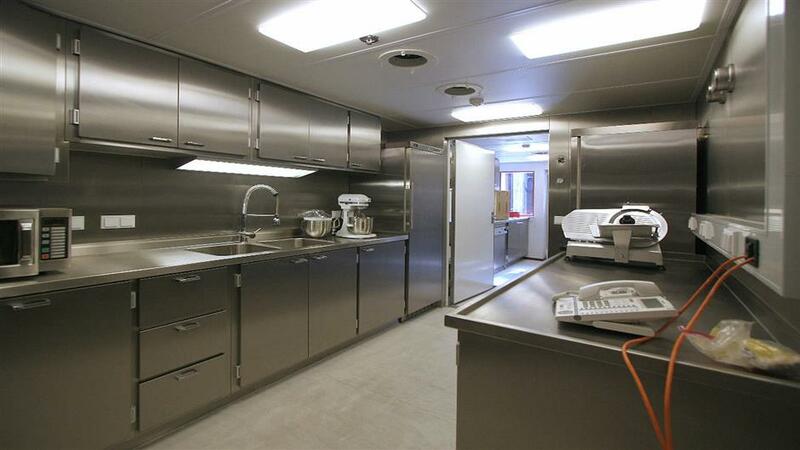 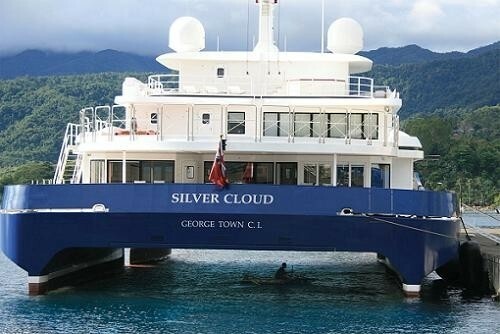 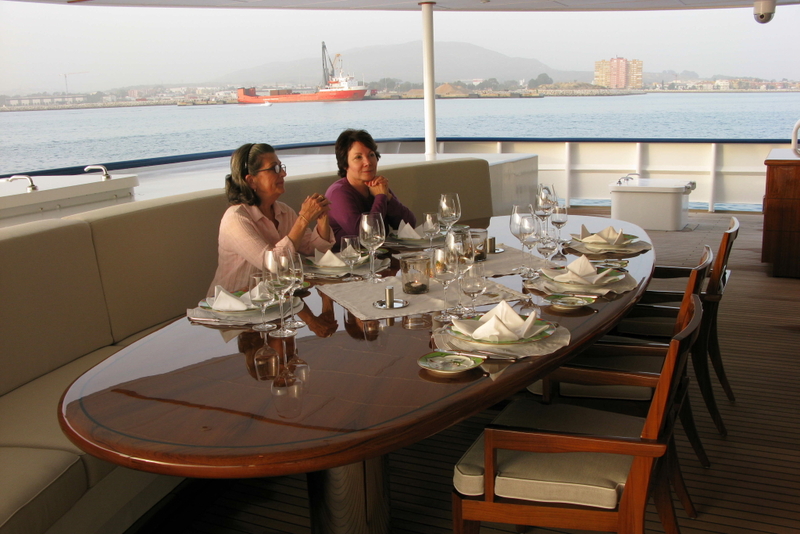 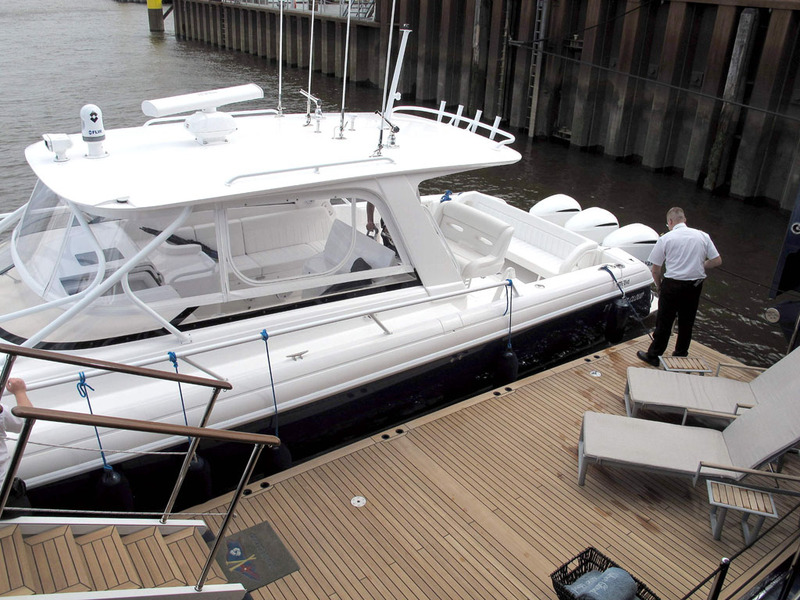 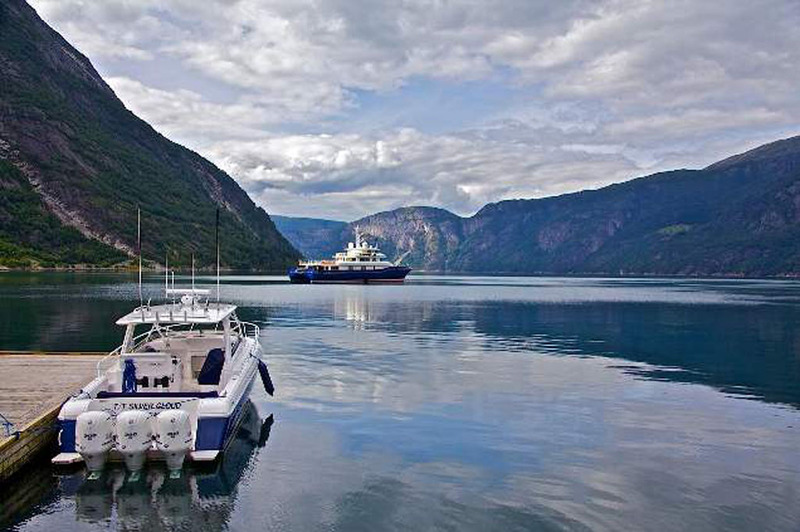 The power catamaran SILVER CLOUD is able to accommodate up to 12 guests. 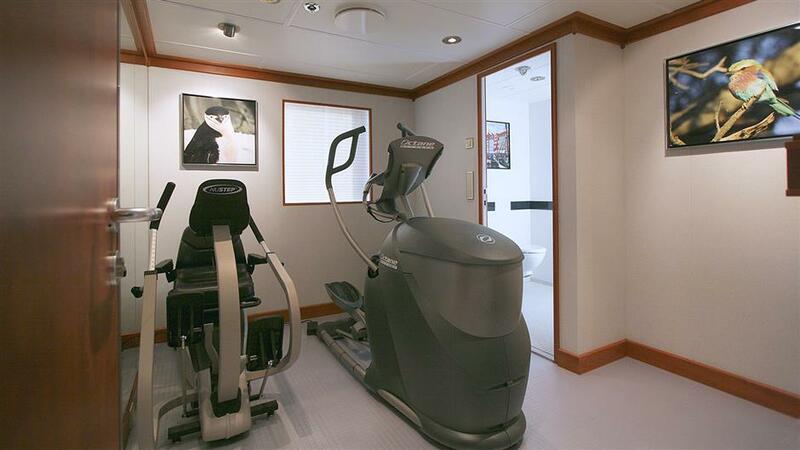 The master Cabin located on the upper deck and has a raised Platform Bed with 180 degree Panoramic View, a Private Balcony, a 65” Hidden LED/3D/HD TV, a Completely separate Office with wireless color printer, 2 Separate His and Her Bathrooms 1 x Shower 1 x Bath and Shower and Direct access to Gym through her Bathroom for private exercise. 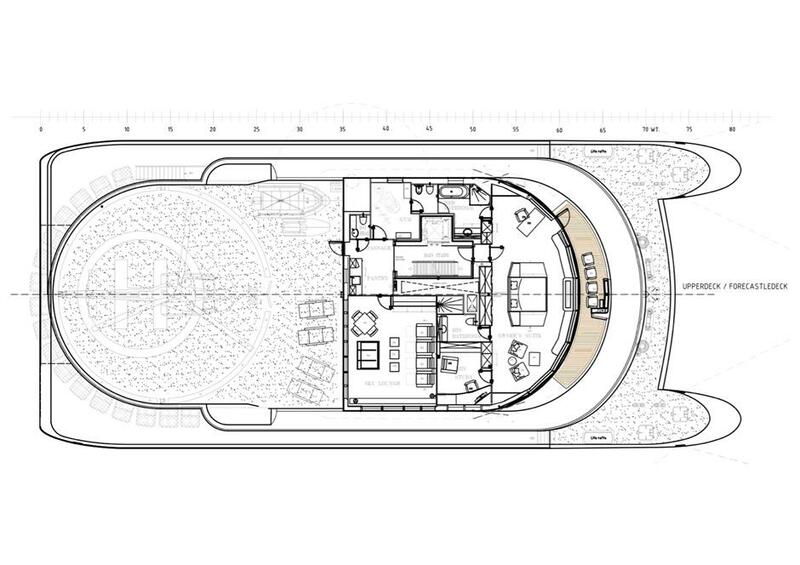 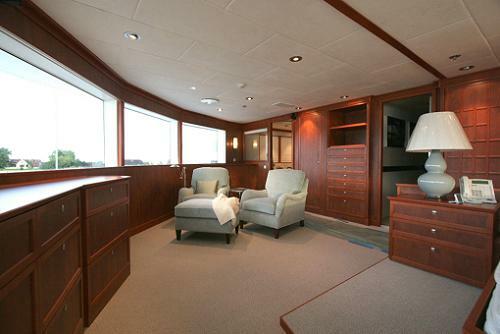 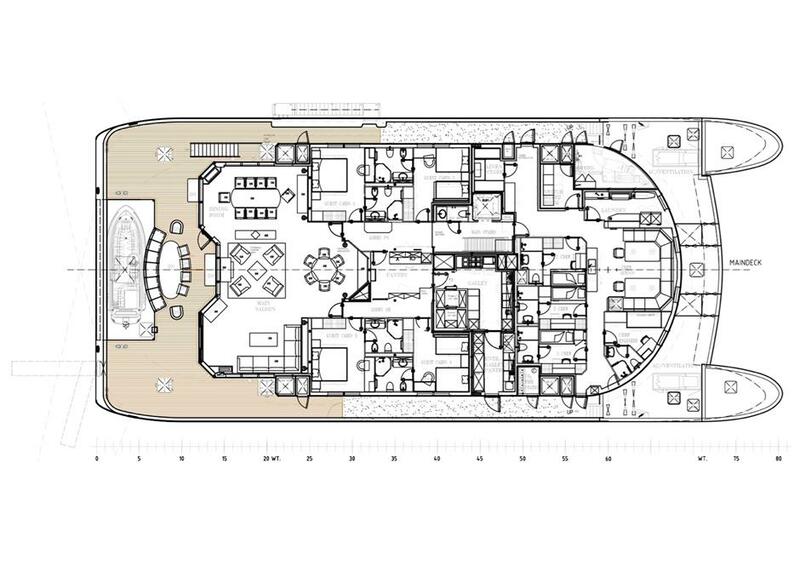 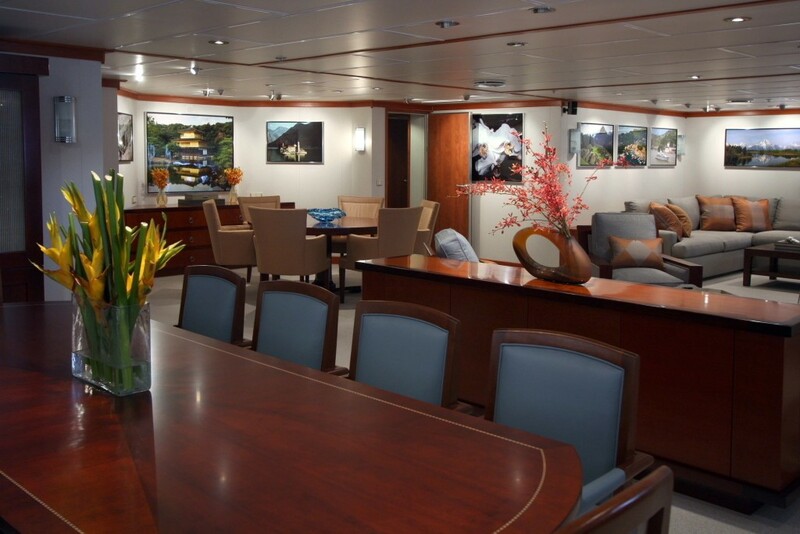 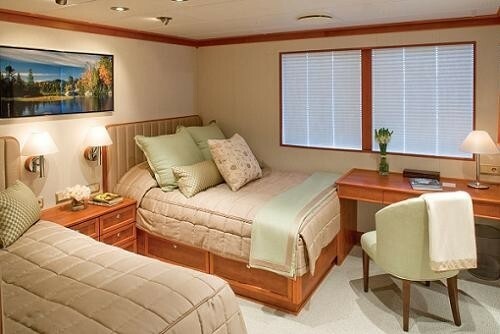 There are 2 king suites and 2 twin suites (with a pullman bunk bed in each twin) all located on the main deck. 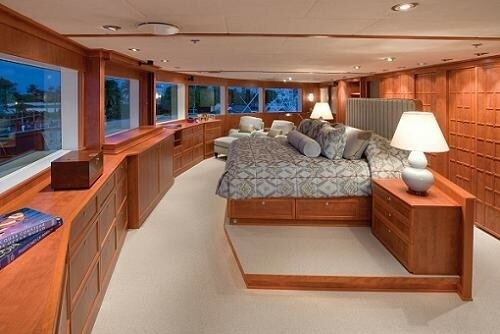 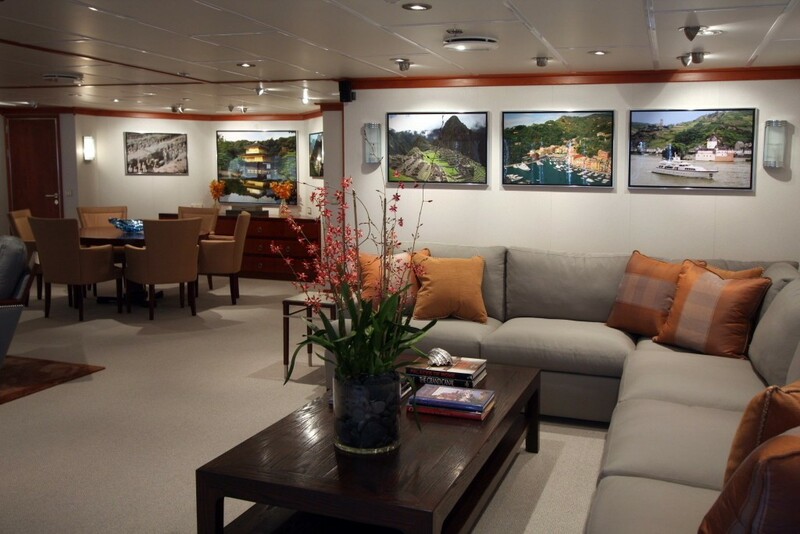 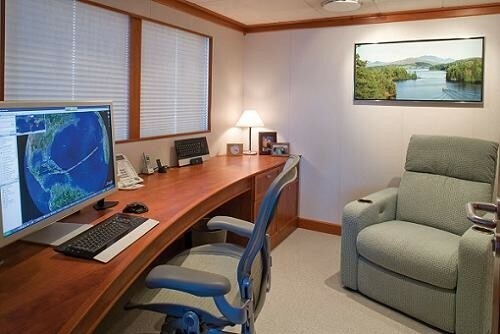 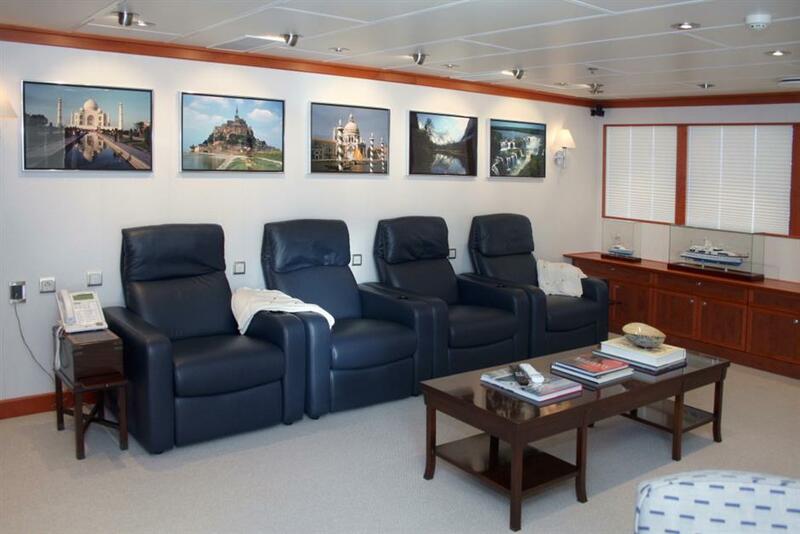 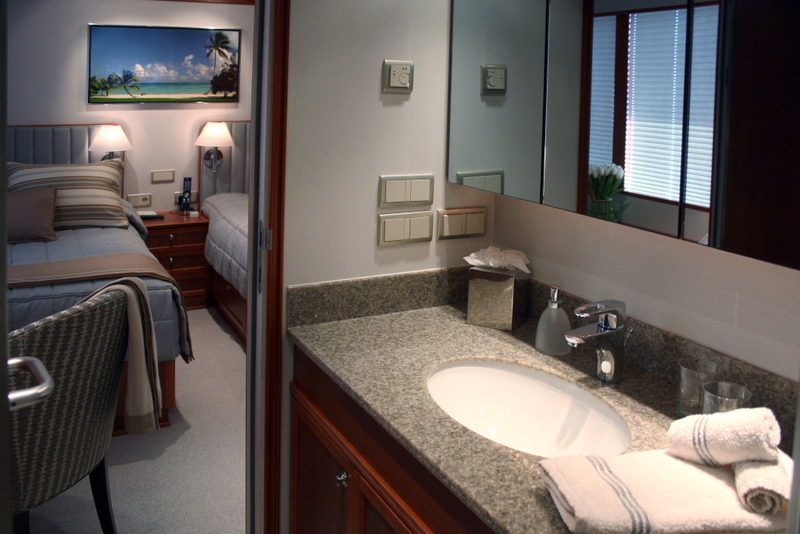 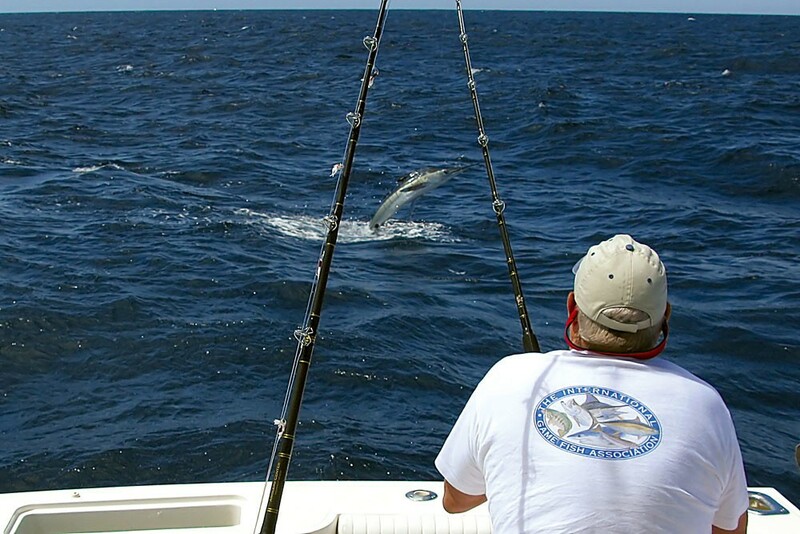 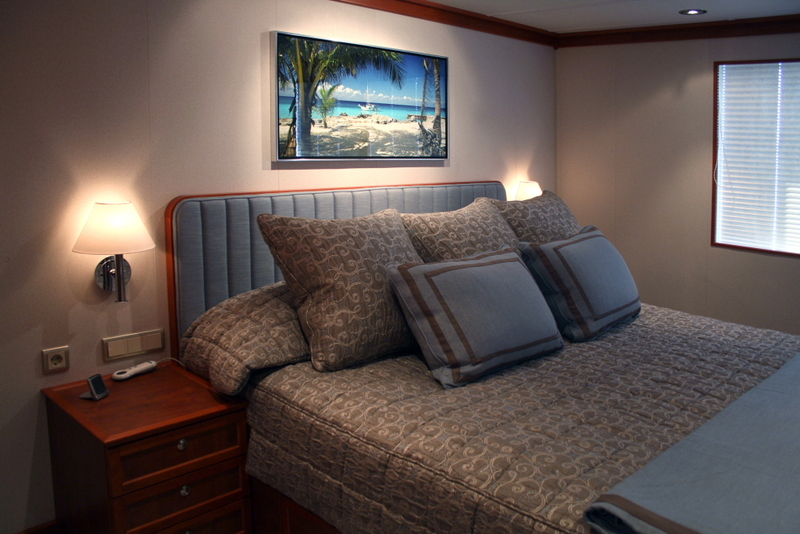 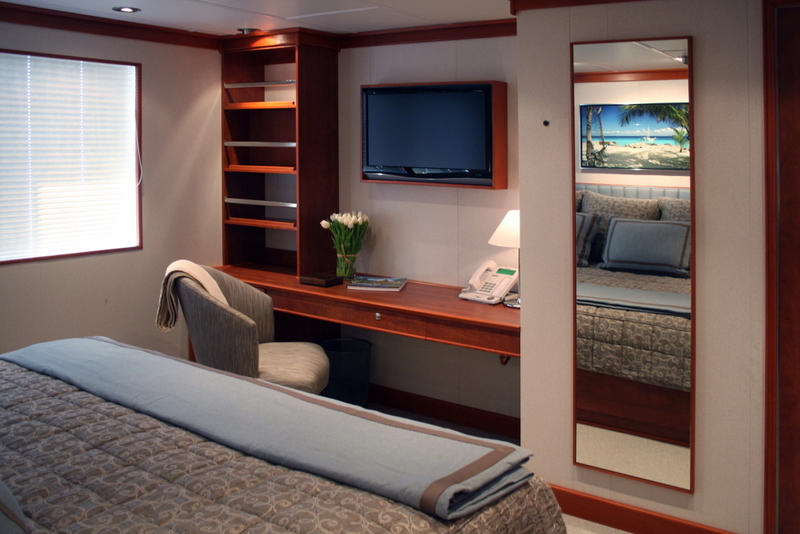 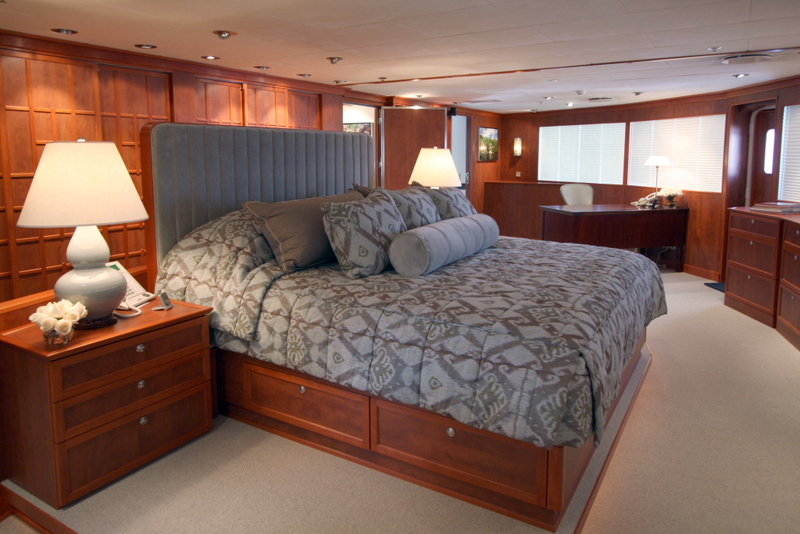 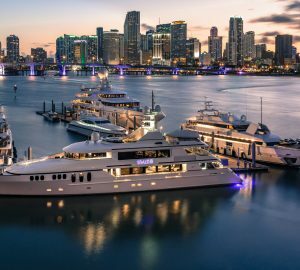 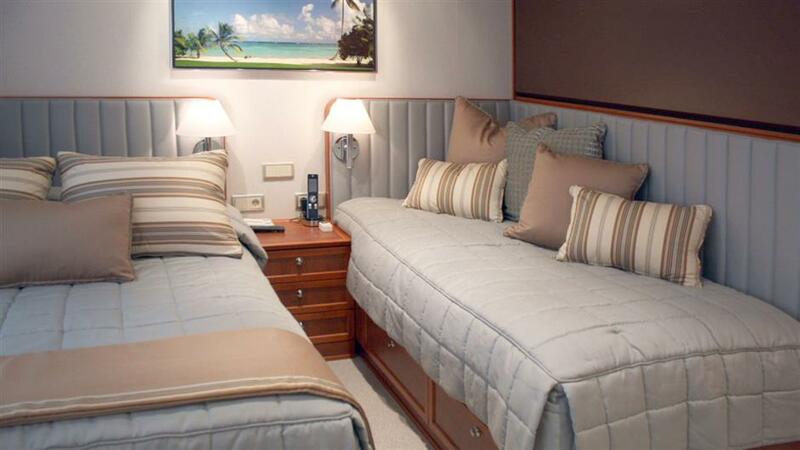 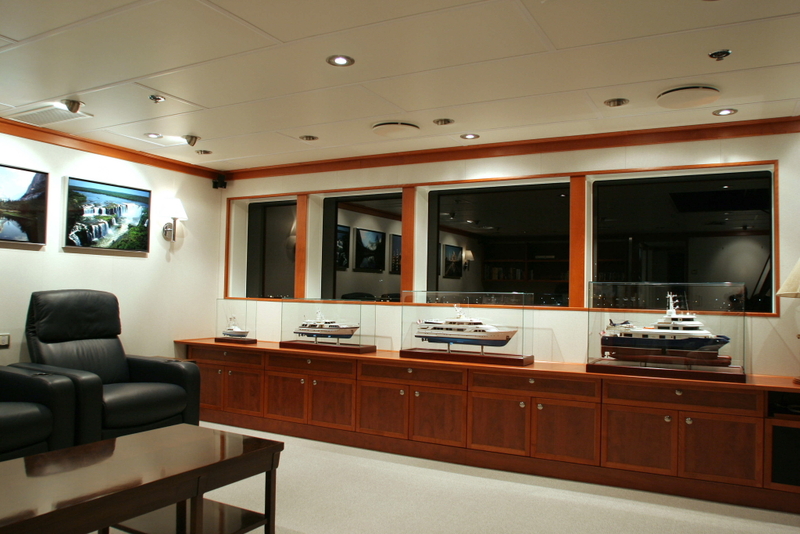 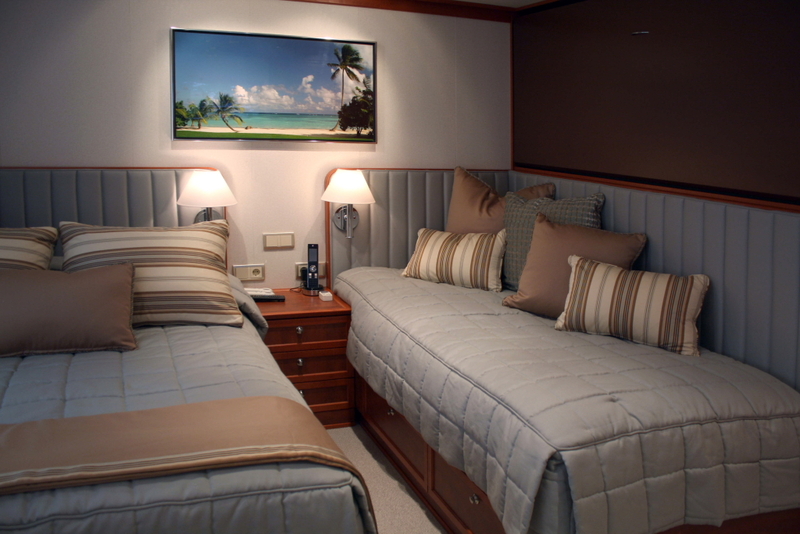 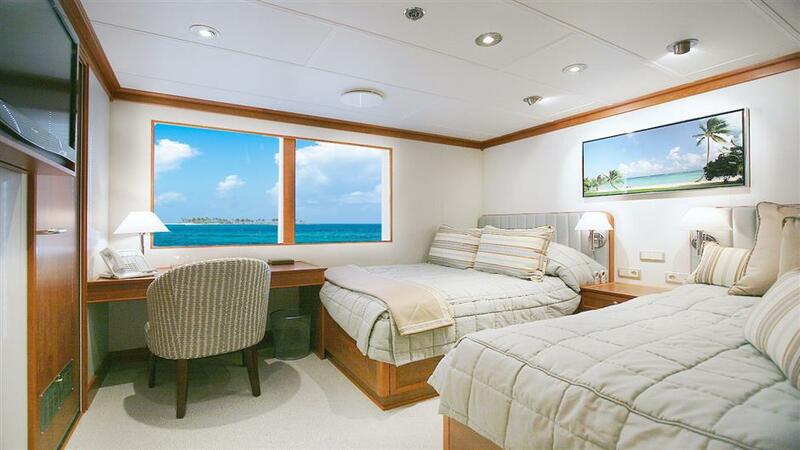 All Staterooms have a 32” Flat Screen 3D/HD TV – DVD/CD/DSS, MOZAEX Blu-ray System Access (300+ Movies ), iPod Docks with Sonas Integrated Music System throughout the boat, Sleep Number Mattresses (Individual Adjustment Settings), Heated Floors in Bathrooms. 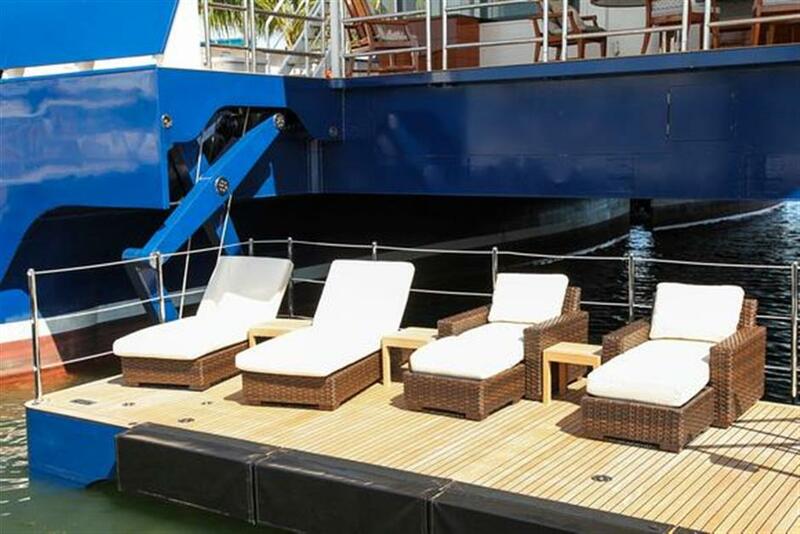 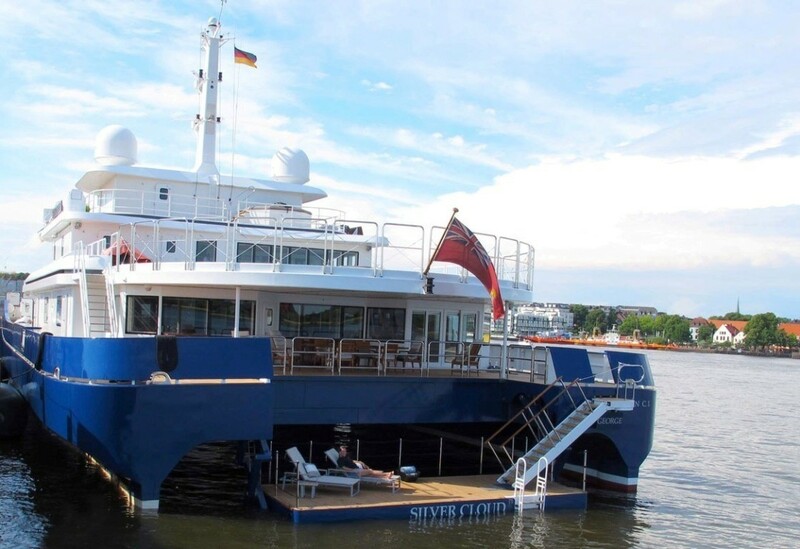 Tenders & Toys onboard cat SILVER CLOUD includes an Ondeck Spa Pool, a 39’ ‘Walkaround’ Intrepid, 2007 with Interior Cabin 3 x Mercury 275HP 4 Stroke Engines, 23’ ‘Custom Line’ Novurania, 2008 with Volvo D3 190HP Diesel Engine, 2 Paddleboards, Banana Boat and Tubes, 2 Sea Kayaks, Extensive Diving and Snorkeling Equipment, Wakeboard, Extensive Deep Sea/Sport Fishing Equipment.